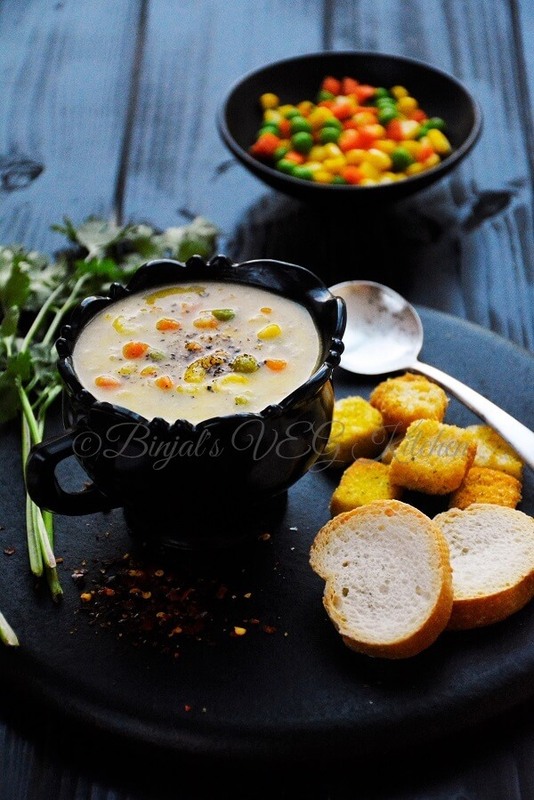 Veggie Sweet Corn Soup is taste so delicious and creamy texture without adding any cream. Veggie Sweet Corn Soup, crushed and whole sweet corn comes together with a colorful assortment of juicy vegetables in this sumptuous soup. This Veggie Sweet Corn Soup made from corn is so versatile that you can add almost any vegetables along with corn in a soup. A healthy assorted vegetable soup with goodness of sweet corn. This creamy corn soup with vegetables is a great starter for any day. 1. Blend ½ cup of boiled sweet corn, make smooth paste and keep aside. 2. Mix the corn flour and ¼ cup of water in a small bowl, mix well till the corn flour dissolves completely and Keep aside. 3. Heat butter in a pan. Add garlic paste, spring onion and sauté till spring onion becomes translucent. 4. Add chopped carrot, French beans, cauliflower, green peas, salt and mix well. 5. Add 2-3 cup of water or vegetable stock, mix well and bring it to a boil till veggie becomes soft yet crunchy. 6. Add the prepared sweet corn paste, the prepared corn flour paste, remaining sweet corn (½ cup), black pepper and mix well, again boil it for few minutes. 7. 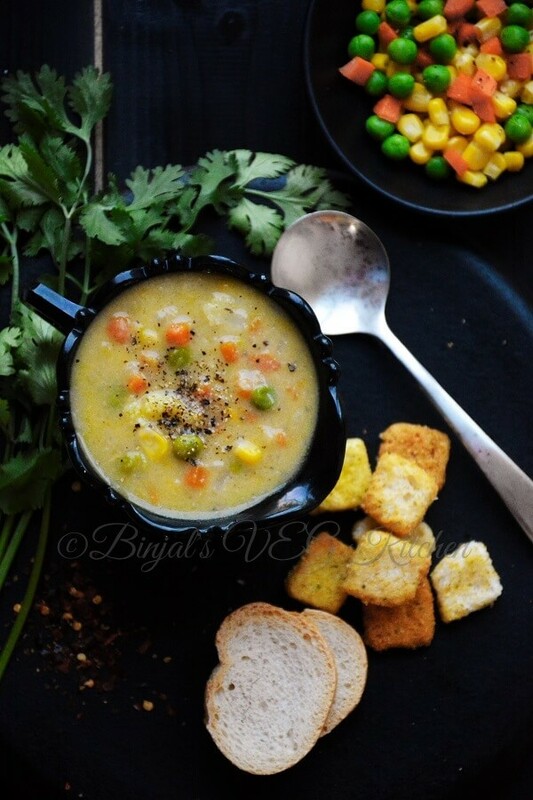 Veggie sweet corn soup is ready, serve hot with toast or croutons. • You can add any veggie as per your choice. 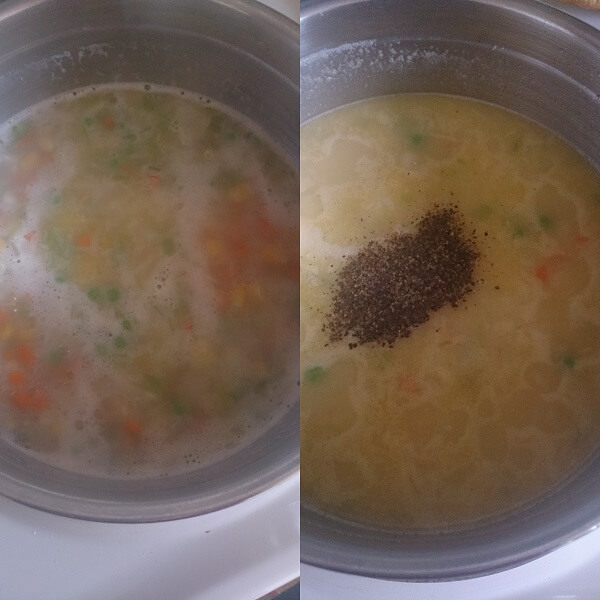 • You can make thick or thin soup as per adjusting water quantity. 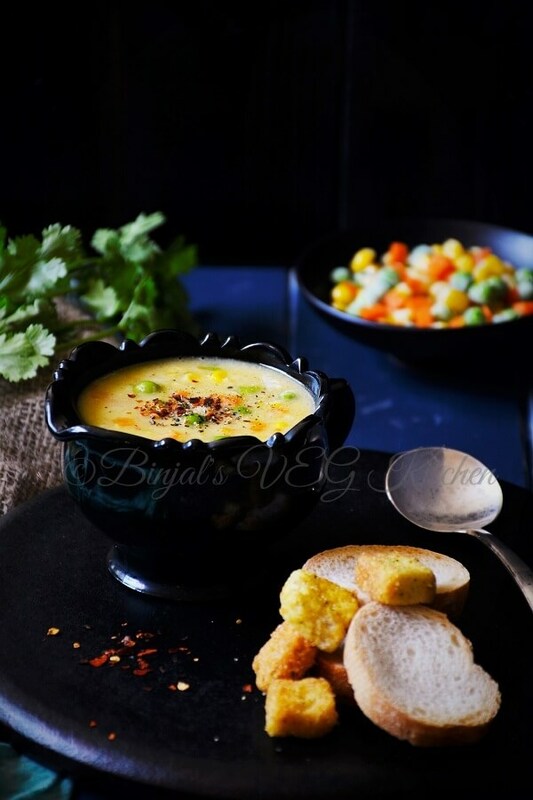 Veggie Sweet Corn Soup is taste so delicious and creamy texture without adding any cream. Veggie Sweet Corn Soup, crushed and whole sweet corn comes together with a colorful assortment of juicy vegetables in this sumptuous soup. This Veggie Sweet Corn Soup made from corn is so versatile that you can add almost any vegetables along with corn in a soup. Blend ½ cup of boiled sweet corn, make smooth paste and keep aside. 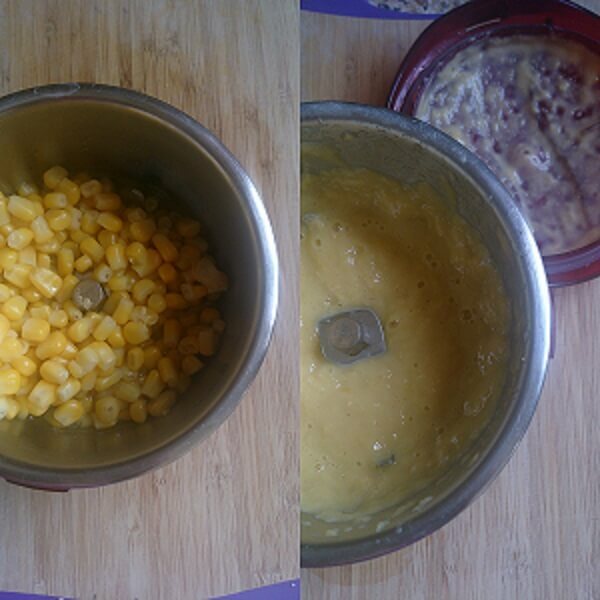 Mix the corn flour and ¼ cup of water in a small bowl, mix well till the corn flour dissolves completely and Keep aside. Heat butter in a pan. Add garlic paste, spring onion and sauté till spring onion becomes translucent. Add chopped carrot, French beans, cauliflower, green peas, salt and mix well. 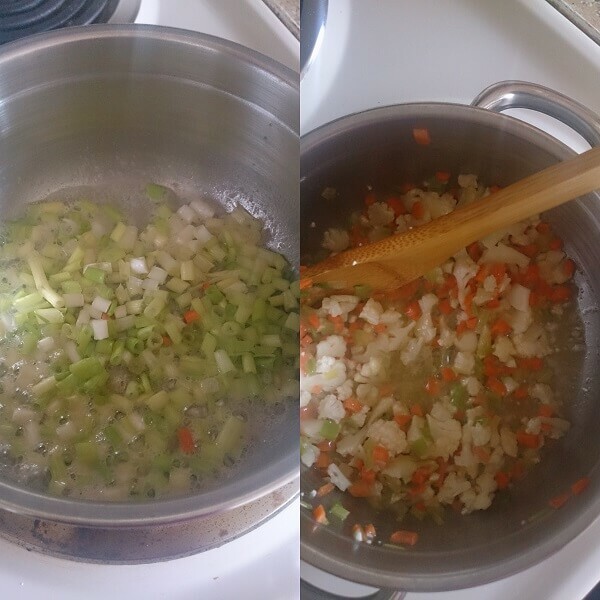 Add 2-3 cup of water or vegetable stock, mix well and bring it to a boil till veggie becomes soft yet crunchy. Add the prepared sweet corn paste, the prepared corn flour paste, remaining sweet corn (½ cup), black pepper and mix well, again boil it for few minutes. 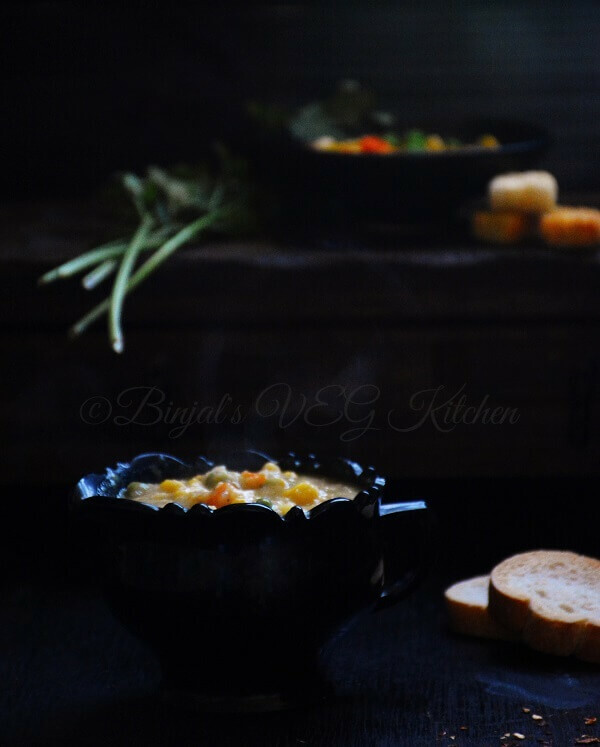 Veggie sweet corn soup is ready, serve hot with toast or croutons. I am loving your photography here! Wow! Love the dark cookery. And of course the soup looks good too! Corn soup is one of my favorites, and I love the flavors you’re using here. Perfect for August corn! Also, I really like your photography style and props. Makes your blog a stand-out! I love sweet corn soup. It used to be a big favorite at one point, I love the fact that your recipe doesn’t come out of the can! Interesting to make the paste of corn and also use the corn flour. The color of the broth is gorgeous! I’m going to pin to make in the next couple weeks. This soup sounds fantastic! Such a summer treat! thanks J @ Hot Southern Mess!! Sweet corn and sweet corn related dishes are one of the best things about summer. This looks delicious & healthy – love it!